This is a love story. It’s the story of Howling Books, where readers write letters to strangers, to lovers, to poets, to words. It’s the story of Henry Jones and Rachel Sweetie. They were best friends once, before Rachel moved to the sea. 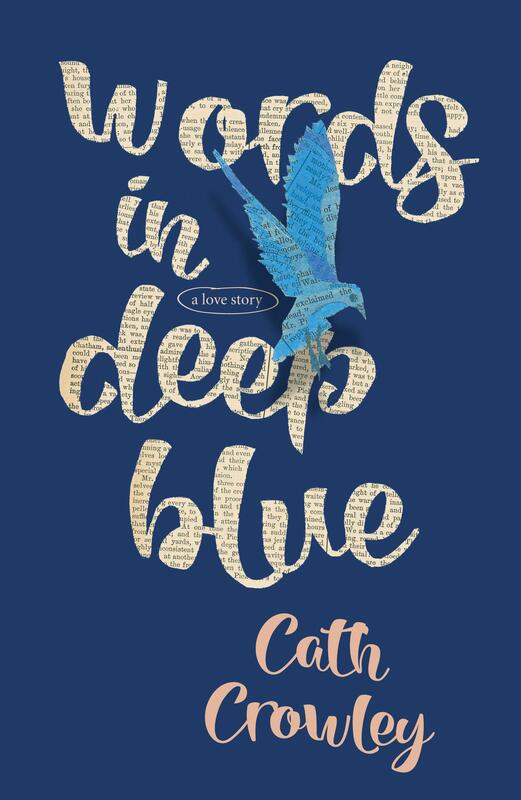 A second-hand bookstore, a love story, and a letter-library: all of these things are mentioned on the blurb of Cath Crowley’s new book, Words In Deep Blue. Really, why wouldn’t you want to read something that has these as offerings? I know that I was super keen and my word, it doesn’t disappoint. In fact, I’m calling it my Young Adult book of the year. Rachel Sweetie and Henry Jones have been friends for years and for all those years Rachel Sweetie has been in love with Henry Jones. Rachel decides to tell Henry her feelings via letter, the night before she leaves to move to a seaside town. But Henry never acknowledges the letter and as the years tick by Rachel ignores his correspondence. That is until her brother drowns in the sea, her mother falls apart and Rachel fails year 12 – meaning no university, which had always been her dream. Realising that life isn’t going to get better by the ocean, Rachel moves back to her old town and starts a friendship all over again with Henry. I didn’t think Cath Crowley could surpass her last brilliant novel, Graffiti Moon, but she has done it. Words In Deep Blue is a ripper. The letter library is such a wonderful idea I hope it exists somewhere so I can go to visit it (I’m not going to explain what it is, read the book and find out) and the relationship between Rachel and Henry is beautiful, realistic and fun. Cath Crowley is a master at writing well-developed, likeable characters that have you hoping that everything will turn out all right for them and this is yet another perfect example of her brilliance as a writer. I highly recommend this for males and females who enjoy writers such as Fiona Wood and Lili Wilkinson. Go OzYA!